"Every new day is another chance to change your life." 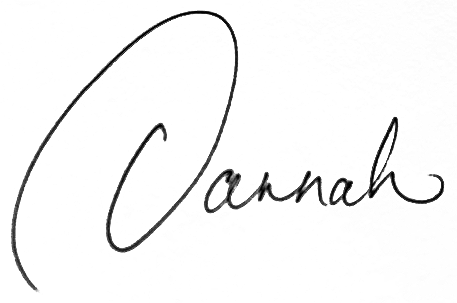 I’m Dannah Chaifetz, a Psychic Medium and an Intuitive Healer. I’m glad you stopped by to check out what I do and how I might be able to help you. If you’re feeling anxious, unsure, or unfulfilled, or if you’re sensing that it’s time for changes in your relationships, career or in your life, then having a session with me could be just the thing you need. Using my psychic and intuitive abilities, I tune into what’s going on now and what’s coming up for you. I see images and receive messages about you and your loved ones. I give clear and practical ways to help free you from various blocks and limitations and give you ways to move forward. My clients tell me all the time that their sessions with me bring them clarity, peace of mind and a deeper understanding of the issues that they struggle with. Look through my website, and if you feel like a session with me would be helpful, please give me a call or schedule and pay for a session right here on my website. I look forward to speaking with you and to sharing guidance that will help you create a more joyful and fulfilling life. Would you like more clarity, direction & peace of mind? "My reading with Dannah Chaifetz was exactly what I needed to help me feel more positive about my life, and my purpose. She was spookily accurate. I was nervous that I might ‘get’ something negative but in fact the whole session was positive, constructive and I left the call with a clear vision of the next best steps for me in life. She has a lovely manner that instantly put me at ease. I have no hesitation in recommending her services to all. She is a truly gifted psychic with spot on intuition. Worth every penny, and more!" "I was a little skeptical about what to expect from my call with Dannah. How was she going to get so much about me from just two photos? But, she did get me. And not just me. Dannah knew things about my fiancé, my parents, and my childhood. My call with her was enlightening in that it brought old feelings to the surface, that I didn’t realize were holding me back, and she gave me the tools to conquer them. And she also helped to confirm some ideas for change I had been pondering, so that I could go off in the right direction, feeling solid. When I started the call, I was stressed, putting too much pressure on myself, and feeling beaten up by my own inner critic. After just 30 minutes, I feel so relieved, optimistic, and just an overall release. I will definitely recommend Dannah Chaifetz to everyone I know." Join my circle and get my FREE “Meet and Receive Answers from Your Spirit Guides” Guided Meditation and my monthly updates and special offers.